I caught up with Cassidy about 3 months ago in Orlando and he told me that his new single will be dropping in 3 weeks. I got excited because Cassidy is one of my favorites, but 3 months later there is still no single. 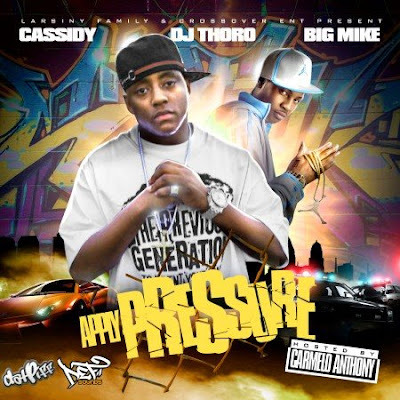 For all you Cassidy fans who are anticipating his next single, here is the new Apple Pressure mixtape to hold you over.